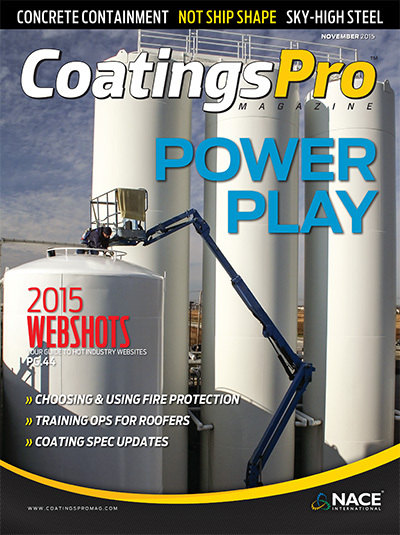 Access is everything on some coatings jobs. 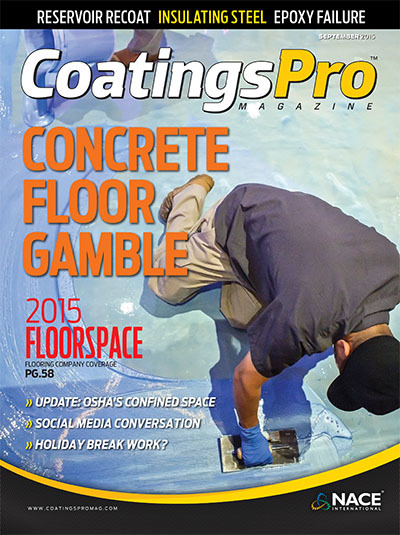 To reach the ceiling and rafter on this tank, the coatings crew had to jack it up. It was a slam dunk finding a coatings applicator that could get the job done on tome at Georgetown University's new athletic Center. For this local crew from Missouri, recoating the structural steel at St Louis Cardinals baseball stadium has been a grand slam! A few bumps on the road couldn't keep this contractor from completing the recoating of this 64-year old drawbridge. The rehab of a historic building in L.A. included the coating of a top level of the parking garage. Find our how these contractors handled the heat. They go by many names: peaking power plants, peaker plants, and sometimes just peakers. But there is no change in the important role these power plants play. Indiana Grand Racing & Casino was about to gamble big! The problem started when faint cracks began appearing on its 10-year-old, 23,000-square-foot floor. This New Orleans icon didn't need to be recoated but getting one made sense. And this super crew made it work! Recoating a throughway in Cumberland, MD. included several challenges: pedestrians and neighbors, lead contamination, and cold weather. With a backdrop as famous as the St. Louis Arch, finding the right coatings system for the new concrete deck on this project was crucial. A zip code means a lot when you're coating nine parking decks in the 90210 that remained open for business during the rehab. A three-coat system on the inside and another three-coat system on the outside of the Worlds of Fun tank in Kansas City meant one unique project multiplied. When a Coast Guard helicopter sniper squadron in Florida needed a new coating on a World War II-era floor, they called in the professionals. Paint Police Or Paint Umpires? When 1.3 million residents are depending on a wastewater treatment plant upgrade, it's important to call in the right coatings and applicator for the job!